Just Love the bag from Bali, yes please! my colour as well! Wow. I liked lots of things. :) Loved the cobalt spiral glasses. I am now a follower. Thanks for visiting me!! 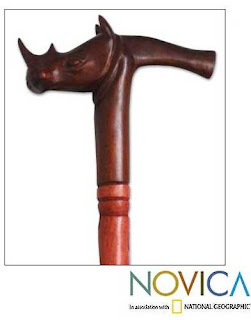 I am a happy follower and have enjoyed exploring Novica. Any of the Alpaca throws and rugs but especially the snow white or white and grey ones would be a welcome addition to our home at this time. Of course I love the sculpture. It is absolutely beautiful. This is a great giveaway, Karena! As i volunteer each week for 10,000 Villages another Fair Trade organization I loved this post! I love all the wonderful Fair Trade goods you have shown and this is a fabulous giveaway. I love the shawls from India and the bag from Bali is gorgeous. What a fun bunch of ideas for Father's Day gifts - that helped me start thinking, although I think he wants an Ipad! I loved the site! What a beautiful collection of artisans and to think it is changing their lives as people can be exposed to their talents. I loved the Sapphire Elephant Teapot - absolutely charming and also the mirror collection - don't know if I could pick one, and the lotus plates, etc. etc. etc.! Karena, I know Novica and love the work they are doing to promote fair trade and developing nations; it's all good!! Of course I am a follower, thank you for such a nice giveaway! So many wonderful things, but the walking stick is my favorite. I also "liked" on facebook. Thank you for showing us a great site. but my favorite was the Carribean turquoise mosaic choker! "liked" Novica on FB and shared a comment! loving that Bali woven bag!! Yes I am a follower of the most fabulous giveaway ~ er! I love the reverse painted mirrors that they have on their site, in particular the pink floral one! I have "Liked" Novica on Facebook! Love the folk art wall hangings...so colourful and fun! What creativity! Thank you so much for the incredible giveaway!!! nice site..I liked them on Facebook. Love the bracelets and the hemp shoulder bags..but really like the African walking sticks.. Thank you for your sweet comments on my blog...you are so right about needing healing space! 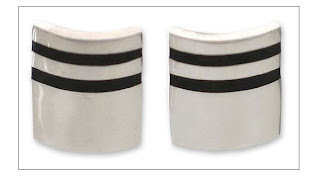 I loved everything on Novicas site....but especially the cuff links if we are talking about Father's Day gifts! My husband would love those and I will definitely check out their website and facebook page! Am a follower of your blog! thanks for another great giveaway! I would love to get the cotton cami and capri set in black or olive form Novica! Oh a shawl from India for sure. It is now my turn to invite you to a giveaway on my blog. If you have a chance, please stop by and enter my giveaway. Already a follower on your blog. I love the beaded rattan basket, 'Forest Lightning'. I love that Novica is working with people from developing nations and helps change people's lives. Check out the links for the items I included (I hope they work). Lovin the silk shawl and hammock!! Wow beautiful giveaway!! Love the emerald green wine glasses, that are etched..so pretty! I am a follower already. Thanks! Oh my goodness!1 so many beautiful things!! would love a new hammock but the jewelry is pretty too!! Thank you for your kind visit today!! I think this organisation is wonderful. There are so many great items. I quite like the Kiss me quick wood statuette and the turquoise flower bracelet (aztec star). Me too, I love the Bali bag. But I also went over to the site and love the art glass vases. Oh and the archaeological vases! And the...well, I could go on. Great cause Karena, the hammock is so far my favorite. Novica has many nice things. This is a great giveaway! Thanks, Karena, for your sweet comment on my blog. I always enjoy your visits. Another lovely giveaway . . . wow. I would go for any of the baskets. It is nice to be supporting fair trade. I am a follower - love the hammock! Thanks for having such a great giveaway! Wonderful giveaway. I love the bag. What a great site too. So many good things. Crazy for the wall hangings. I have now also liked them on Facebook. Thanks. 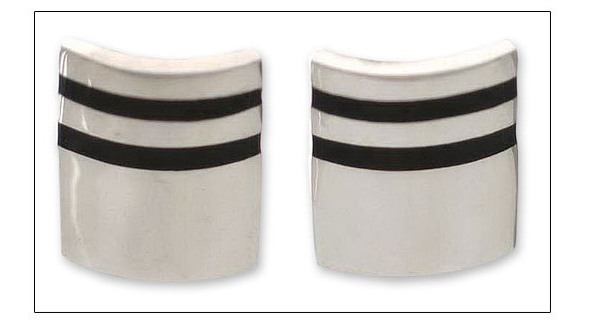 Love those cufflinks - my husband wears french cuffs to work everyday! I am a follower. What a lovely giveaway! I really like the wooden rabbit bookends. I really need some bookends! What beautiful things Karena and a wonderful giveaway! My dad would love the drinking glasses that they have. Green shawl is looking mighty lovely! Thanks for stopping by Rosa's Picks! If I won, I would totally buy the white cotton hammock! So beautiful! So glad to meet you. I am so flattered you visited my little blog. How nice to meet a talented artist. I will be following you and am interested in your work. i'm a happy follower, and i just liked them on facebook. that striped pitcher and glasses set is fab! the perfect thing for entertaining outside! Hi Karena - what a great giveaway. Don't know if I like the glasses or the bracelets the best. Very nice. Great give away. I'd love to be counted in. Have my eyes on that bag. I LOVE the paradise nesting tables. beautiful accent for a room. i was JUST telling Joe i wanted a walking stick!!! - count me in of course - THANKS babycakes for all the awesome give-aways!!! liked Novica on Facebook :) Thanks again, Karena. I became a follower…I love these items! The emerald shawl is gorgeous and I think the bag is wonderful. Karena - the queen of fabulous giveaways (yes, really!). I think the leather and wood chess set would be the most perfect item for any Dad! Very lovely. Hi Karena, thank you for stopping by my Blog Post and leaving such a sweet comment and telling me about this amazing giveaway! For some reason the Follower function isn't working as it usually does so I hope it went through? Blogger seems to be having issues lately & I'm a bit Tech challenged as it is. After perusing the Novica site I am in LOVE with their Kashmiri area Rug! *swoon* They have so many lovely items and what a great cause. Of course I am a follower!! And I'm loving the stone obelisks ... although that green shawl you showed is stunning!! Hi Karena, thank you for stopping by my blog and leaving such a nice comment, wonderful giveaway you are offering! You're right! I do love this giveaway! The African walking stick is killer, and my son wants one badly! I'm a follower! What a great site to find unique gifts! I really like the selection of Batik shawls. So very pretty! I'm your follower and love the wide assortment of items available, especially the glass vases and jewelry! It's a wonderful organization and I will post it on facebook. Wow what a great giveaway! There are so many pretty things but I will have to say that I really like that hammock! I'm loving the bag form Bali. So fun! I follow you! What a lovely giveaway. I visited Novica. So many beautiful items. I love any of the shawls. Hi Karena! Thanks for stopping by Ooh La Frou Frou. Left a little note for you in response at the quick link below. Let's see ... regarding the giveaway, I already am a follower and I went to their site and would probably choose one of their pretty necklaces. Thanks for the lovely giveaway! I'm a follower... as you know. I'll follow you any where you go! 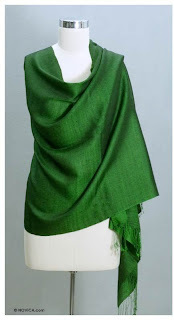 That green shawl is GORGEOUS! Greetings to you Karen. What a great site Novica is and so fun to browse through all it's unqiue treasures. I was quite fond of the Murano hand blown decanter, 'Plum Transparency'. So many choices! Have a great weekend ahead. Thanks for stopping by my blog and leaving such a nice comment. Also thanks for inviting me to enter your giveaway. It's wonderful! My husband would love that hammock! Oh, those shawls of silk and wool are such amazing colors. This is a great organization and deserves all the attention given. Nice giveaway Karen! Great giveaway! 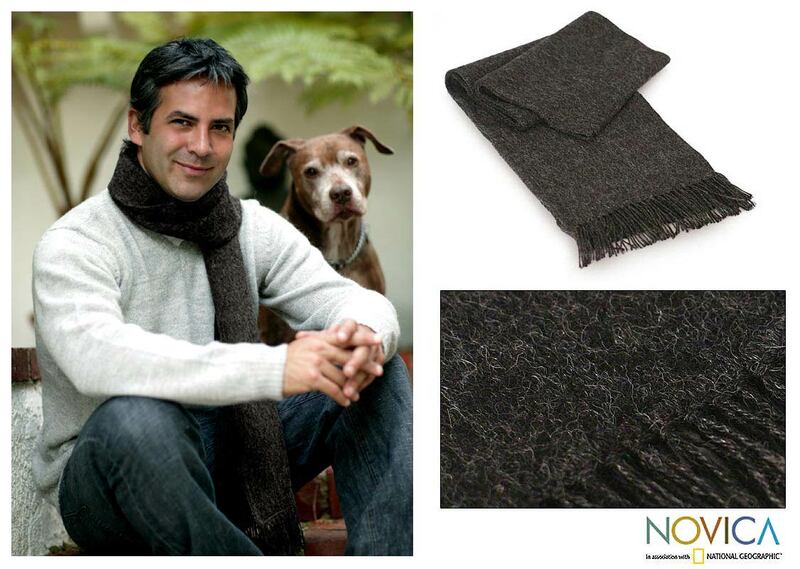 I love the Novica site, especially the shawls and scarves! I'd love to win! Thanks for stopping by and entering my giveaway, too! 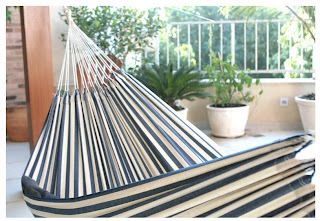 I like the hammock you have pictured as well as the Icarai Rainbow one on their website.... Great giveway! Love love the bag from Bali. very cool giveaway!!! I am loving the generosity leather shoulder bag a lot! what a neat website, i have never been there before! Karena, thanks for stopping by to invite me to enter this awesome giveaway. I did a post on Novica a few months back - they have such character-filled pieces and all for such a worthy cause. I love those gorgeous alpaca throws! Heading over to like on FB! Karena. 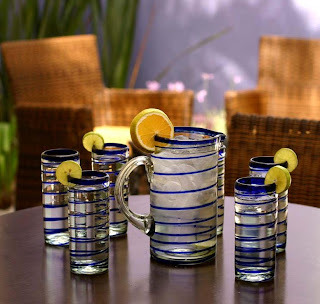 Love the pitcher set! I am a new follower, and you were right I would love your giveaway! 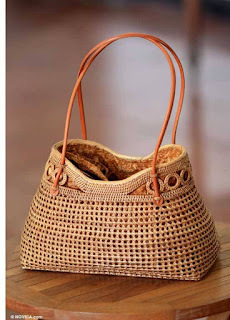 I would love the Ate grass handbag! "Batik Sun"
Will def blog about your giveaway! I went to the Novica site and I love the jewelry that I see there and the best thing is that it is not very expensive. I also checked out the ara rugs too. Very, very nice. Thanks for the heads up. It took me forever to decide on something. I'm going with the stacking rings, but I love so much. I'm a new follower! Almost anything in the Novica store would strike my fancy. I always love anything that showcases a particular culture or country; perhaps a parasol or one of the area rugs is what I would love to have. :) thanks for the great giveaway! LOved almost everything there on Novica.com from home decor to jewelry to paintings to collectibles.......just loving it. I'm a follower and I love the jewelry. Pearl and chalcedony cluster earrings, 'Aqua Shimmer', are favorites. Hi Karena! I'm glad you're making one of your dreams come true. Let me know when you get to France! By the way, this is a great giveaway. I love the batik scarves and the idea that you're helping people while at the same time shopping for something beautiful. WOW what a fabulous wonderful website they have.. I have marked it and will be spending some time exploring all their wonderful offerings..
i'm following the site - this is an amazing giveaway and novica looks like an incredible company. going to read up on it. wow -another great giveaway. Count me in! Liked it on Facebook too. Oh Karena! What a wonderful giveaway. Not only because the products are of an outstanding quality, but because it made us aware of such an inspiring organization. I love that entire families dedicate themselves to their art, and that this site gives them the opportunity to share their true talent with the rest of the world. I don't know how else these vendors would be exposed to us. Such a great thing to do, Karena! I can't pick what I would choose. I got lost in their site and I think I may have to spend hours there now. Lovely, really lovely! what a fabulous giveaway. The murano vases and decanters are my favourites. 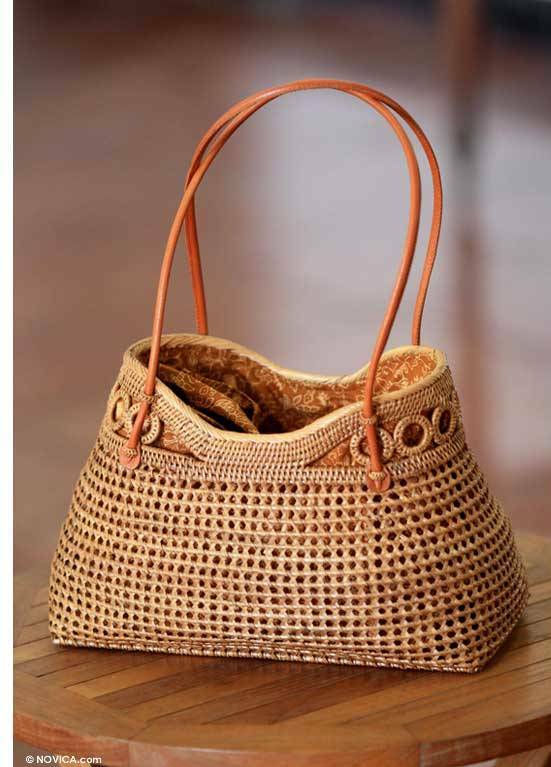 Karena- Novica is a great site! I really like their carved stone containers. Great giveaway! So many beautiful things! Love the tote, I need them these days! I'm ecstatic!!! I emailed you :) Let me know what to do!! That Brazilian hammock looks so relaxing!! Would love one in our backyard!! Great gifts....they are unique for me..like it.